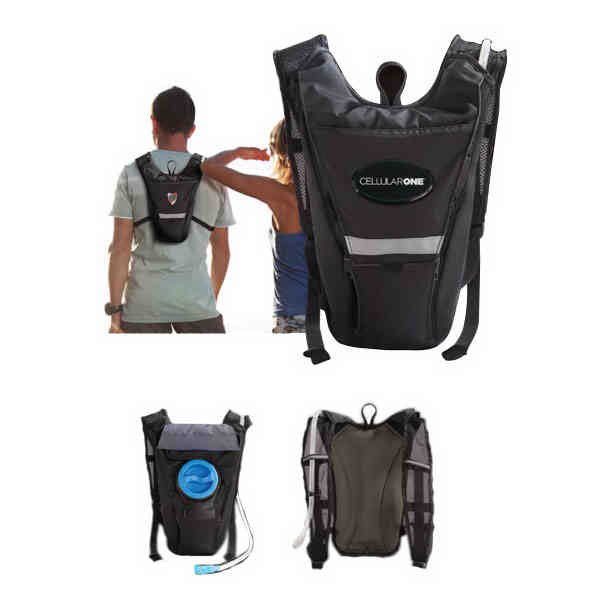 Imprint Method: 4 Color Process - Mini Hydration Pack with insulated mesh back panel and ventilated mesh shoulder straps is made of lightweight, durable 210 Denier nylon fabric. Features include a 1 liter capacity bladder and a front flap pocket. 7W x 12.75H x 2D. Great size for any activity. Size: 12.75 " x 7 " x 2 "
Imprint Size:3" x 3", 2.75" x 1.25"